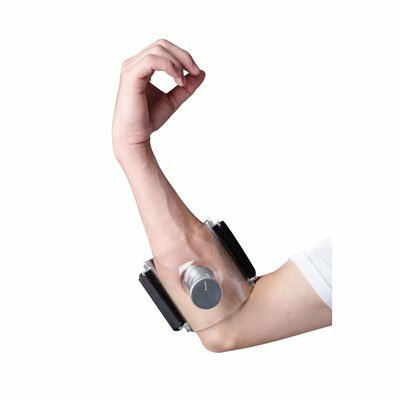 Reduces arm pump discomfort, lack of circulation, and loss of control. Can increase grip strength and promote flexibility. Improves effectiveness of forearm stretches. Lengthens muscle and muscle fascia in anterior and posterior forearm. Large range of pressure adjustability. Used by pro and amateur riders alike. Polycarbonate, 4-40 stainless steel, and 6061 aluminum construction. Can also relieve tennis and golfer's elbow pain, while increasing fluidity of motion. Patent pending. Sizing- Measure the circumference of your forearm approx. 3 inches down from the inside of your elbow towards your wrist. Small - Forearm sizes 11" or less. Large - Forearm sizes larger than 11". If you have any questions about this product by 4Arm Strong, contact us by completing and submitting the form below. If you are looking for a specif part number, please include it with your message.